Do you enjoy acting and performing? Are you 14–20 years old? If you want to take part in exciting regular drama workshops and attend masterclasses led by directors, actors and experience theatre professionals, then join us every Friday from 6-8pm. 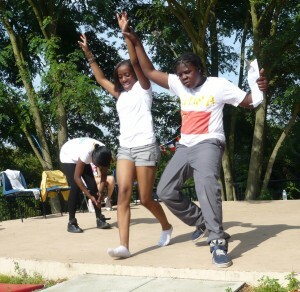 Meet and have fun with other young people who have a passion for performing. Get free theatre tickets for theatre trips to selected shows. Get regular casting opportunities (our young people have appeared in a programme for BBC Learning Zone, FIFA Video Game commercial and Wind in the Willows by Sixteenfeet Productions) and professional work placements. We have recently taken part in projects with the English National Opera and Raw Material, and have previously put on two productions as part of the Music Art and Drama (MAD) Season in Brockwell Park. Brixton Youth Theatre also offers the opportunities to students to gain Bronze and Silver awards through the Trinity Arts Programme.